This an example of our applications. 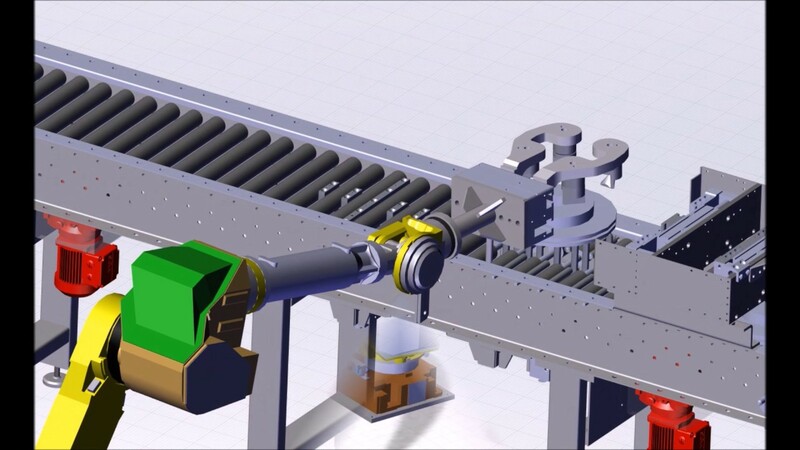 A fully automated line to machine brake disc. Iruña Automation is a Spanish engineering company specialized in developing and providing comprehensive industrial automation solutions to modernize machinery and processes. Half a century in the market by providing tailor-made solutions. We have extensive experience in automation equipment and automation solutions at the international level: applications in France, Portugal, England, Italy, Germany, USA, Brazil, China, India, Egypt, .... We provide technical service at international level. With almost half a century of experience behind us as a company specialized in industrial automation and an excellent technical profile, our team of professionals is dedicated to leading interdisciplinary projects from the beginning to the end, with maximum flexibility and agility and motivation to provide a service of quality around the world. In Iruña Automation we are experts in automating foundry processes and achieving solutions that contribute to create perfect production systems. In Iruña we make the most of our capacity and experience in solutions for foundries, in order to offer our clients, the greatest flexibility and adaptation to their needs and requirements. We develop tailor-made process automation projects in casting, in turn-key format. Loading / unloading of castings. Robotized marking systems: We put at your disposal our experience in the design, development and manufacture of turnkey solutions for the marking of sandboxes. Analysis of possible box defects. Our cells adapt according to the process and the cycle time required. Our technology and developments help our customers to achieve the ultimate goal with the robotization of deburring, polishing and cutting. Special grippers: We are able to provide comprehensive solutions for handling multiple references without clutches. X-ray inspection in production line: We offer customized machines for dimensional control and quality analysis required for the casting process with the advantage of being a specific, fast and accurate system. We supply systems for manual or automatic checking of castings. Lines of sand core: We offer specific solutions for the machining process.